Johor Barhu, is a quickly growing city at the border with Singapore. The historical center is little and not particularly interesting, people come here mainly for busines, do shopping or visiting Lego land or Angry birds parks. I spend in Johor Bahru just one day and it was my last stop in Malaysia. The city doesn't seem nice as it's big, smoggy and dirty. Johor Bahru is the state capital of Johor. 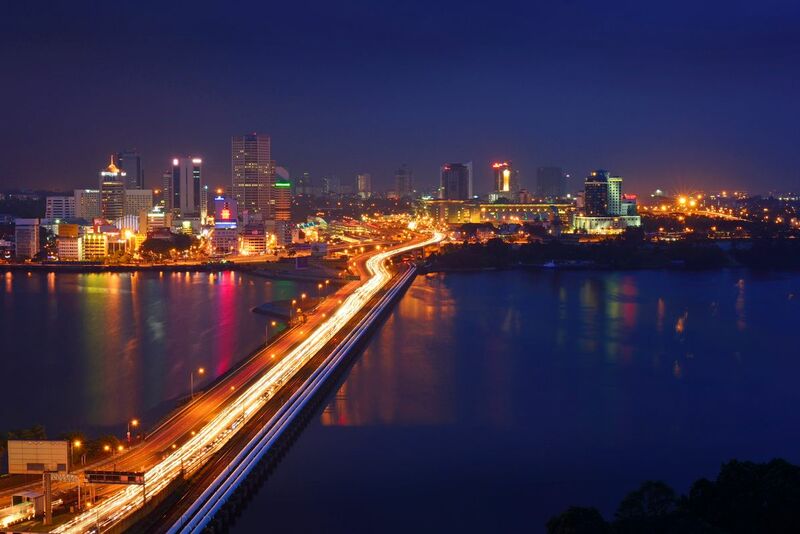 The visitors commonly head for Johor Bahru's royal palaces and lively night markets, considered as some of the state's best attractions. Have an open mind. JB is so large. Explore into inner JB known as Iskandar where huge malls & hyper marts sells almost anything u want so cheaply. Eateries& restaurents lined every road & streets. Very nice & tasty. Importantly, they still serve customers unlike Sg! Portions are bigger & value for money. Be 2prepared to spend a whole day indeed! A cowboy town. Not much changes for decades. Dirty unswept areas along most places. Don't feel safe as I was almost extorted at the KTM railway station. An instant and stark difference to the antiseptic Singapore. A grundgy town on the wrong side of the border, with some notable old mosques, and cheap food. If you like adventures, 20 minutes from Singapore, a bustling city, eating is fun with lots of varieties. Johor is a part of Malaysia, nearest to Singapore. You can have a short day trip there do do some shopping or try the Malaysian cuisine. Johor is not so well maintained so dont get a culture shock when you enter It through the Woodlands Checkpoint (in Singapore) and notice the stark contrast of the quality of the living. It can be grimy and dirty but things here are very cheap. Many Singaporeans head down to Johor to have cheaper versions of restaurants back home, cheaper goods (like groceries) and now defunct restaurants in Singapore like A&W! JB is a 20 min drive from Singapore. It's a good place to go for a fresh seafood dinner, at half of singapore's prices. Make sure you bring your passport with you as this is already Malaysia.